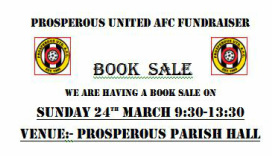 Folks reminder that the Book sale & Cake sale are on Sun 24th March in the Parish Hall from 09:30 to 13:30. 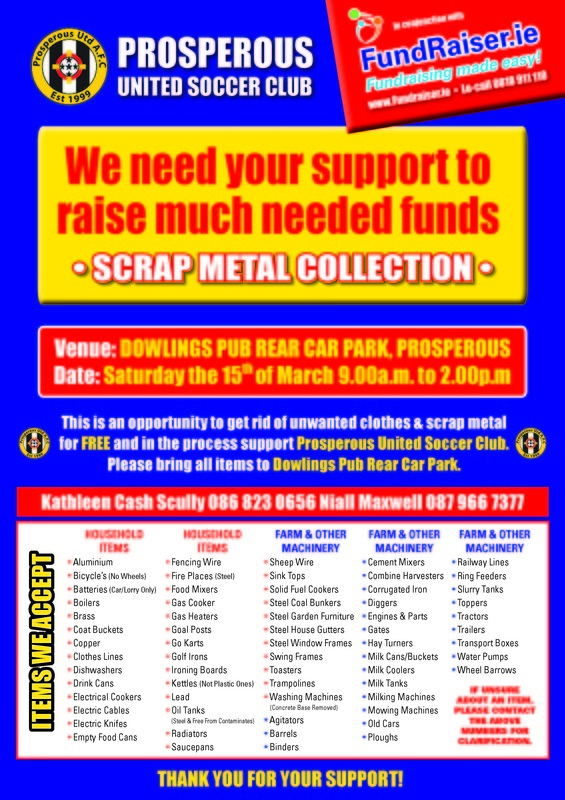 We would ask that all parents who's children are in the club assist by donating either Books/Cakes or both. So if there are any Bakers out there get you aprons on & let the rest of us see what we are missing. 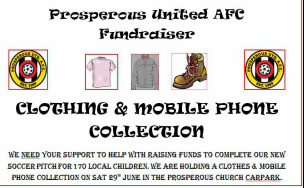 Prosperous United would like to thank everyone who supported us in the Parish Hall over the weekend. 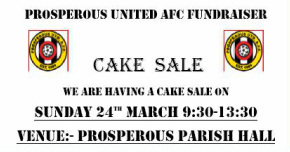 The Cake sale was a Great Success thanks to the wonderful donations. Fortunately or Unfortunetly we where overwhelmed with books & have a huge amount of books still available. We will look at some way of having another one day book sale over the next few weeks.